We will help you achieve your goals while you support the charity of your choice. 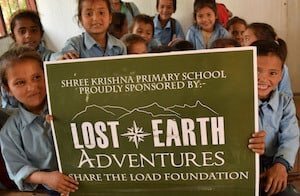 Lost Earth Adventures is a leading provider of inspirational charity challenges with over 20 years of experience. Know no boundaries; there are no limits! Trek, bike, climb, reach the summit or take a giant leap! We will provide you with guiding, instruction, logistics, equipment, expert advice and event management no matter the size of event or challenge you wish to complete. Challenge. Experience. Inspire. A short video of what our challenges are all about. A charity challenge is a sponsored event undertaken by an individual or group. They are a proven method of raising significant funds for charity. Challenges come in all shapes and sizes and it is, as the name suggests, a challenge – something that should push you out of your comfort zone. Discover your own personal Everest and do something amazing. Be inspired while trekking to the highest altitudes or biking across the Himalaya. 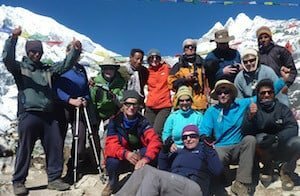 An experience in Nepal, immersed in culture and wild adventure is an achievement you will never, ever forget. The Lost Earth Adventures Way: What Makes Us Different? 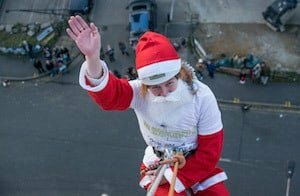 Lost Earth Adventures is an industry leader and is one of the UK’s largest independent professional charity challenge specialists. We are experts in expedition planning and event organisation, with over two decades of experience behind us. We believe firmly in a personal approach, catering to both individuals and larger groups. You will always be able to speak directly to someone on our team whom has personally experienced the challenges we offer in Nepal and in the UK. From your initial enquiry right through to the point you return home from your trek you’ll be given an account manager that will be your main point of contact to answer any questions you have and provide you with all the support you need. If you have a weird and wonderful idea that we’ve not done before or that hasn’t been mentioned on our website, that’s okay too. In fact, we revel in the unorthodox, and take a flexible, out-of-the box approach to all challenges. 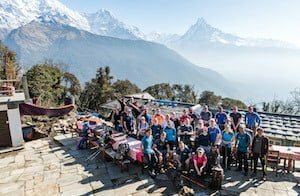 Just ask us about the time we suspended a man on a bicycle from a towering limestone cliff face in Yorkshire, or when we took a documentary film crew of 40+ on an expedition across the Himalaya. In the UK and Nepal, we provide support 24/7 from our Operations Centre when you are on one of our challenges. In Nepal you are also equipped with satellite phones, no matter how remote, in an emergency we are always available to you. We have the manpower, in the field and at the office. What does this mean for you? We are flexible, can provide extra staff at a moment’s notice if your group size changes or there is a key member of staff that falls ill or gets injured. We are qualified and we don’t just tick the boxes when employing our staff. We uphold exceptionally high standards for our guides and instructors. We engage in continual training, professional development and ensure that this mixes effortlessly with the ‘softer’ skills required – to be personable, approachable, fun and enthusiastic. Read more about our staff training and qualifications.  Financial Security – we are an ABTA Bonded, ATOL Protected and insured tour operator based in the UK. See our financial security page for more details. Reviews – don’t just take our word for it, see what our clients are saying about us on our reviews page. No hidden fees, no hidden costs. Simply pay the deposit to book your space and the final balance of the trip is due 60 days beforehand. After your deposit is paid we have a “no price increase” guarantee. Want to find out more about us? You can also read about our Safety Policy and commitment to Responsible Travel.